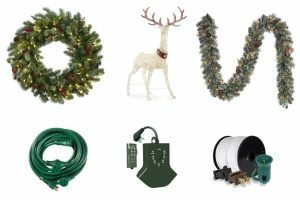 The Holiday Season is almost here and if the thought of digging through your storage to discover tangles of light bulbs and wires make you shudder, it might be time to call in The Holiday Lighting Experts. Rather than going through all of the clutter and putting your safety in question, you can let the Installers do the work for you. It will allow you to focus on other things like indoor decorations, gift shopping, planning and spending time with the family. 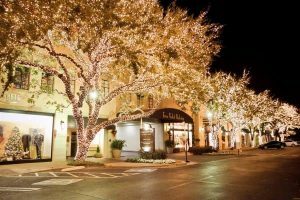 Here are 8 advantages of hiring a Holiday Lighting Specialist that will make this the very best Holiday Season ever. 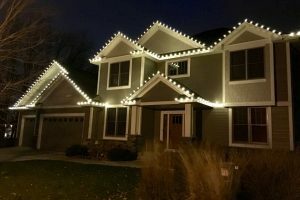 A Holiday Light Installation Company should be able to provide you with upfront pricing before they begin. Plus their prices should be visible on their website for everyone to see. Sometimes, it seems like we will save a few bucks by purchasing the lights ourselves. But when it’s all said and done, we can end up spending more money in the long run. Save yourself time to enjoy the Holidays. When you hire a Professional Holiday Lighting Company, you can spend more time on planning, shopping and it will allow you to be more relaxed and enjoy this wonderful time of the year with friends and family. A good Holiday Light Installation Company will utilize Commercial Grade Lighting Materials that will last for many years. Even if they use your own lights, they should make sure that everything is up to code and will let you know if they find any loose or damaged wires that can cause a fire hazard. The Company should be equipped with additional materials in case you forgot something so that you don’t have to make multiple runs to your local hardware store. Holiday Light Installers have Project Managers that have many years of experience in Holiday Decoration and Design. They can definitely help you decide what color and style of lights will go best with your home and property layout. Plus they should also go over different options with you before they start the installation. 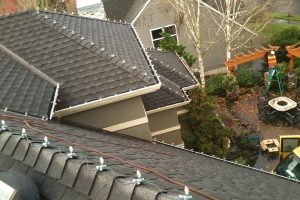 Professional Installation Crews are trained to take safety first. Your Holiday Lights will be installed carefully and all of the cords will be hidden out of plain sight so that everything looks great and no one trips over the wiring. You don’t have to worry about getting hurt or shivering in the cold. Let the Professional Installation Crews handle everything. When the Holiday Season ends, the Installation Crews will come back to your home and take down your lights with care and safety. They will make sure that everything is in working order. Plus they will wrap everything up and neatly place them in Storage Bins. A good Installation Company will make sure that all of the Lights are Secure and will not fall down throughout the Season. You won’t have to worry about anything, just give them a call and they will go back out to your home and take care of it. Impress your neighbors this Holiday Season by having the Brightest and Best Looking Lights on the Block. Most HOA’s have Competitions where they hand out prices for Best Display, Energy Efficient Etc. By hiring a Professional Installation Company, you are sure to be up for the running.